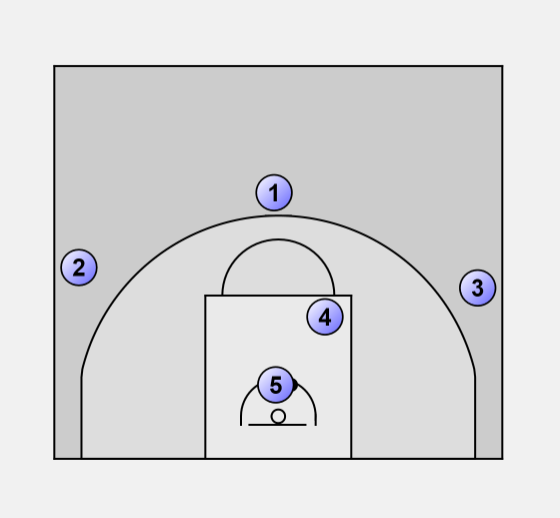 4 sets a screen so 5 can spin around the screen to the middle of the court. 4 should set the screen so 5 can move to middle of key. 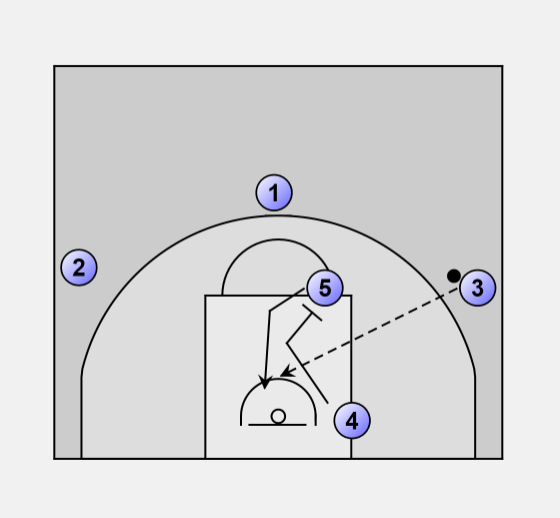 5 must spin around the screen quickly and cut strong to basket. It must be a fast spin by 5 and a reasonably good pass by 3.